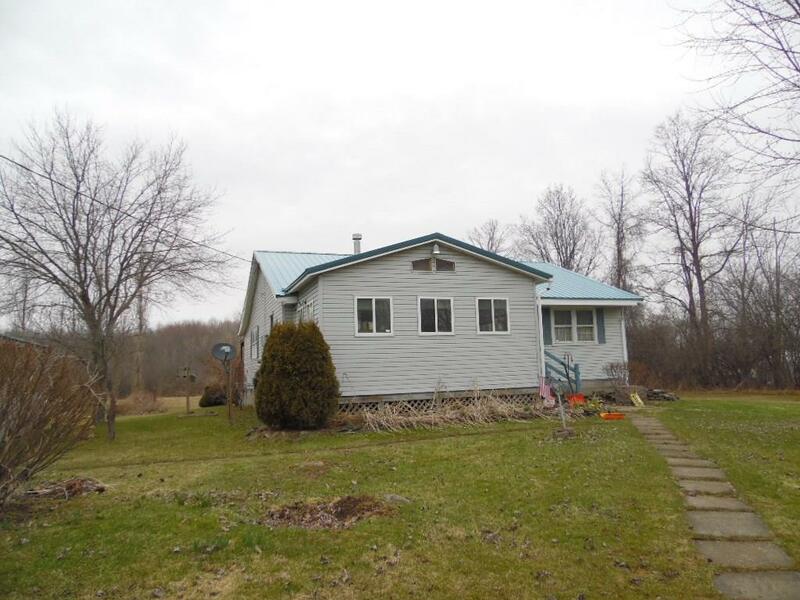 1663 Strong Road, Waterloo, NY.| MLS# R1108516 | Coldwell Banker Finger Lakes | 315-789-6768 | Geneva NY Homes for Sale, FINGER LAKES PROPERTIES, Seneca Lake, Cayuga Lake, All of the Finger Lakes. Back on the Market with a new price! Motivated Seller! This 3 bedroom home offers one floor living with extra space to spread out. The front sun room is heated, large and bright for extra living space. The back enclosed porch gives views of the spacious back yard and woods. There is a lovely gas fireplace in the living room for alternate heat during those cold winter months. A one car garage and shed that both have electric makes for nice workshop areas. Another shed for all your storage needs and 2.8 acres of land for all your outside activities make this home full of options. Directions To Property: Take Route 318 To Burgess Road, Left Onto Strong Road, House Sits On The Left, Look For Sign.